Have you been taught to push your stomach forward when you take a breath and then hold it still or push it​ in as you sing? Or ​perhaps you’ve been told to slowly exhale as you sing​ or “sing on an exhale”​? 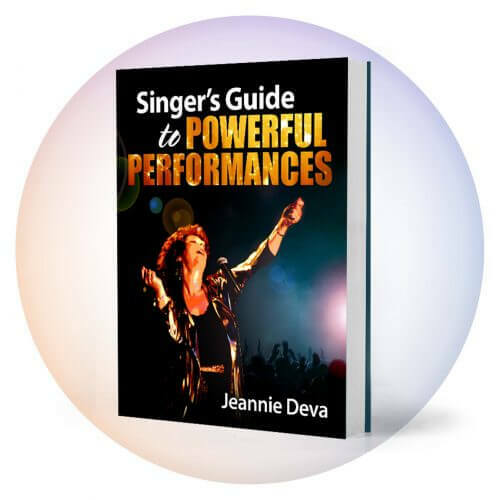 If you experience strain, tension or register break​ when you sing, it could be coming from tensing your ​belly in some way. In my almost forty years of teaching singers I have found that tension in the abdomen causes throat tension. In addition, pushing-in your abdomen ​when​ singing results in driving out too much air​. 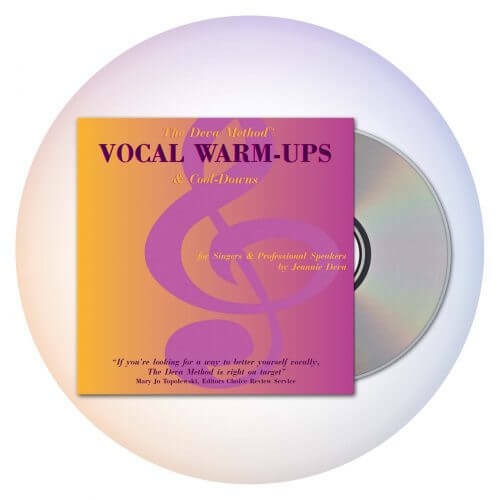 The result of too much air pressure against your vocal folds ​causes ​them to either tense or blow apart.​ When this occurs you will strain, lose notes in your range, sound “pitchy” (the note will be slightly off pitch: sharp or flat), sound weak or only be able to sing loudly with little to no dynamics. ​1) ​Lightly place the backs of ​each of ​your hands on the sides of your torso half way between the waist and the underarms. ​3) ​Now sing and let your stomach remain relaxed. Do the best you can to maintain the expanded position of your ribs. ​As mentioned, the largest part of your lungs fill about three fourths of your back. To fill with air, your lungs are​ pulled open by your expanding rib​ ​cage. The expansion of your rib​ ​cage is what physically opens your lungs and​ pulls air into your body. Any forward movement of the abdomen is the result of the ​diaphragm lowering against and pushing the ​abdominal organs ​down and forward. ​Just like when you move your hand your fingers go with it, you don’t need to manipulate your abdomen to breathe – it just happens. 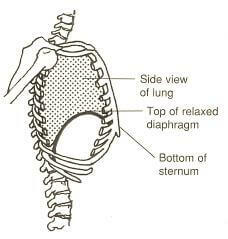 If your ribs collapse as you sing or if you push the abdomen inwards, too much breath is expelled. This​ can cause tension in your throat and can make reaching certain pitches difficult or impossible. ​Singing with your​ ribs expanded allows your diaphragm to naturally control the air flow​.​ ​This is the gateway​ ​to achieving​ a fuller​, flexible, passionate voice with improved tone​ as well as a complete range of vocal attributes such as power, stamina, vocal texturing (rasp, growl, grit) and belt while maintaining your vocal health. It takes practice with the correct exercises to develop rib​ ​cage expansion to a point where you can easily use it​ while singing. And when you do, you’ll no longer have to think about breathing because it happens automatically​ and naturally. 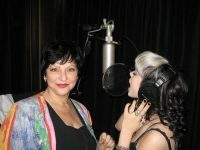 This solves many potential vocal problems and frees your attention to focus on ​expression in your ​vocal performance. This tip is only intended to give you an idea of how it could work for you. 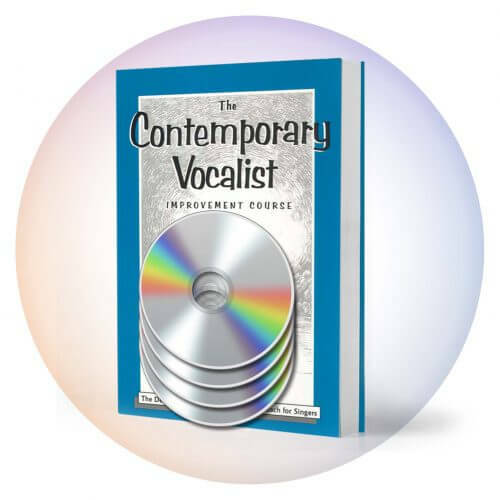 If you want to develop effortless rib​ ​cage​ expansion, the exercises and additional information about why it makes singing better and easier can be found in​ my Contemporary Vocalist Volume One.